Home Beauty Best BB Cream In India For Different Skin Types: Our Top 10! A blemish/beauty balm or a BB cream is a must have beauty product. Most of the ladies might agree with me on this. A BB cream is that dream cream which acts as a moisturizer, primer, foundation and sun block, it has the qualities of all of these. It is the best product for when you need to hurry out of the house, just apply some of it, set it with a powder and you are good to go. There obviously are many BB creams out there in the Indian market but I got the best ones for you! 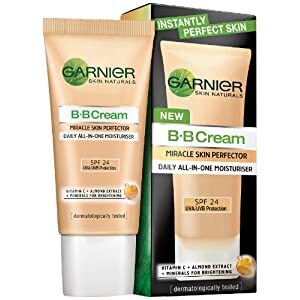 So, here is a list of best BB cream in India (for oily and dry skin) which are easily available in the market. This is one of the best BB creams for oily skin but dry skin people can use it too. It sets into a matte finish and claims to control shine for 12 hours. It completely hides your blemishes and gives an even tone to your skin. It has SPF 21 and PA ++ which means great sun protection! It will not clog your pores at all but it will just hide them. It blends very well and is available in three shades perfect for Indian skin tones. This is, as you can tell, a very affordable BB cream. At this price, the results from this product are quite satisfactory. It is a very light weight cream and blends oh so effortlessly on your skin. It has SPF 24 and leaves your skin with a soft glow. It is suitable for all skin types. It also has certain moisturizing properties. Although, it comes in a single shade but that shade is an easy match for the Indian skin tone. It is available in two sizes. This, again, is a very affordable product and is available in three different sizes. You can get the smallest on just to try and see if it works for you and I think that is a plus. It gives you a medium coverage but hides your blemishes well. Along with being a BB cream it also acts as a fairness cream. It has SPF 30 (great!!) and PA++. It is suitable for all skin types. Also Read: Makeup Essentials You Cannot Miss! This will literally work wonders on your skin. You would not need to apply a single product, just this BB cream would be enough. It is absolutely light weight and glides on perfectly on your face. It has hydrating properties too and has a decent coverage. It soothes your skin and has antiseptic properties too that heal your skin from within. It has SPF 20. It nourishes your skin from within and leaves you with a soft natural glow. It is available in three sizes. It is available in three different shades. You know you can trust this brand, so go ahead and try this BB cream. It has a medium consistency and gives a medium coverage which hides imperfections. It has SPF 35 and PA+++. It has a pretty decent staying power too. Another great thing about this is that this too is available in three different shades. This of course is on the high end side but the price is totally worth it. I mean, come on, its MAC, it has ought to fulfill our expectations of a BB cream. It does everything that a BB cream is supposed to do and it does so flawlessly. It has SPF 35. The only thing is that it is on the pricey side. This, again, is a high end product. It has three shades available and has SPF 30. It gives a very good coverage and can act as a tinted moisturizer too. If you want you can even use it as a primer. It has a thick consistency but does not sweat out the face at all. Although, it is not the perfect winter cream. So, this one is for the dry skinned ladies. A highly recommended bb cream for dry skin people! It has a lot of moisturizing properties. It has all the ingredients needed in a BB cream. This is the kind of cream that changes color once applied. That means it will change according to your skin tone. It evens out your skin tone and gives it a subtle glow. I know this isn’t a BB cream but a CC cream, but it has all the properties to work as one. It is available in two shades. The pricing is also quite good. It has SPF 20 which is slightly less I feel. It gives a sheer coverage but it lasts pretty much for a very long time. Since it is a CC cream, it evens out your complexion very well and hides imperfections. It is great for everyday use. Here is another one by The Body Shop. 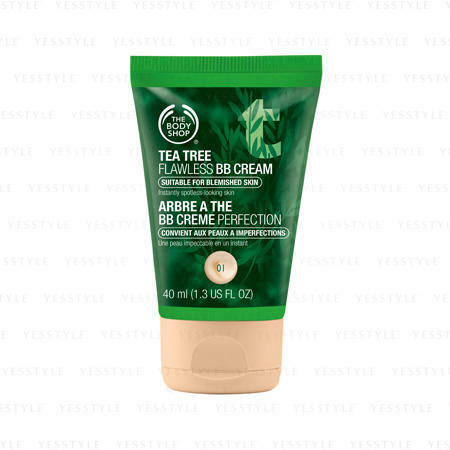 As the name suggests it has tea extracts which is really good for the skin. It gives you a very good coverage and hides blemishes perfectly. It sets matte and feels very light weight. 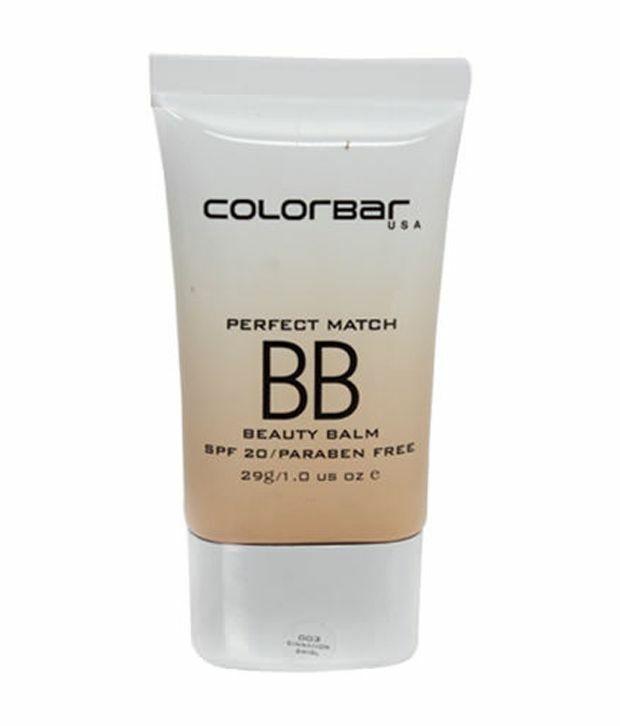 It has a great lasting power too which makes it in our top list of best bb cream in India. So, here they are! All of them are undoubtedly the best BB creams in India. From drugstore to high end, this list consists of all. Make sure you get your hands on them.